This book draws together an eclectic and highly personal mix of painters: from Picasso to Carpaccio, from Cranach to Nolan. The connecting thread between these diverse works, which span six centuries, is international theatre director Richard Cottrell's fascination with the human story and an intense involvement with the human predicament. 'Human nature doesn't change,' he says, 'Art is about now'. 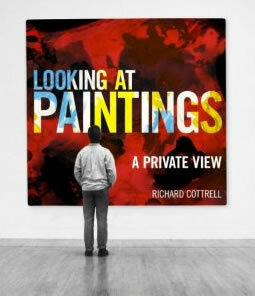 To his love of painting he brings an eye trained to absorb the smallest detail and the absence of jargon and technical terminology make this a delightfully approachable appreciation of art for the general reader. For the student of any age his observation, humour and colloquial style will open new ways of studying, evaluating and, above all, enjoying the art of painting. Key points: beautifully illustrated, with 55 colour reproductions of paintings; engagingly written essays that are free of jargon and accessible to both the art expert and general reader; the text can be read cover to cover or dipped into and read in any order.